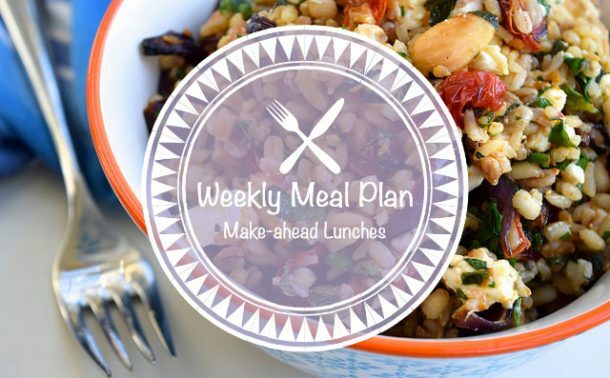 I don’t know about you, but if I need a packed lunch I usually tend to cop out and head to Itsu for some sushi, miso soup and a couple of chocolate covered rice cakes unless I’ve made something for dinner the night before which yielded delicious leftovers that I can pack up and take with me. 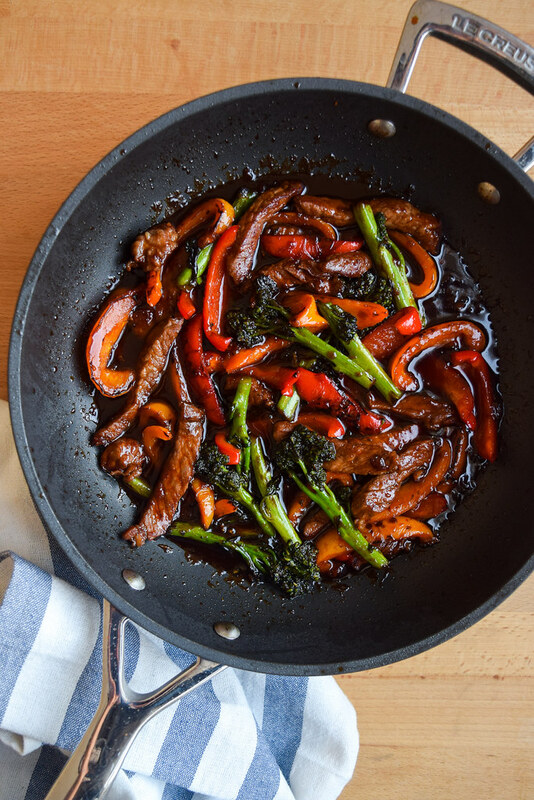 So, here today are five easy weeknight dishes that also create a great packed lunch of leftovers to take into the office and enjoy at your desk / in the park the next day! 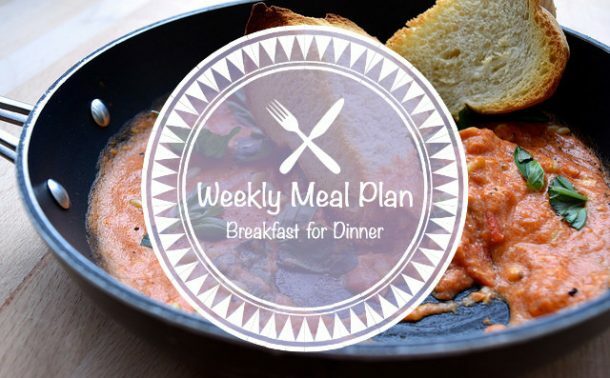 You can check out my last leftovers-led Weekly Meal Plan here. It’s finally spring! 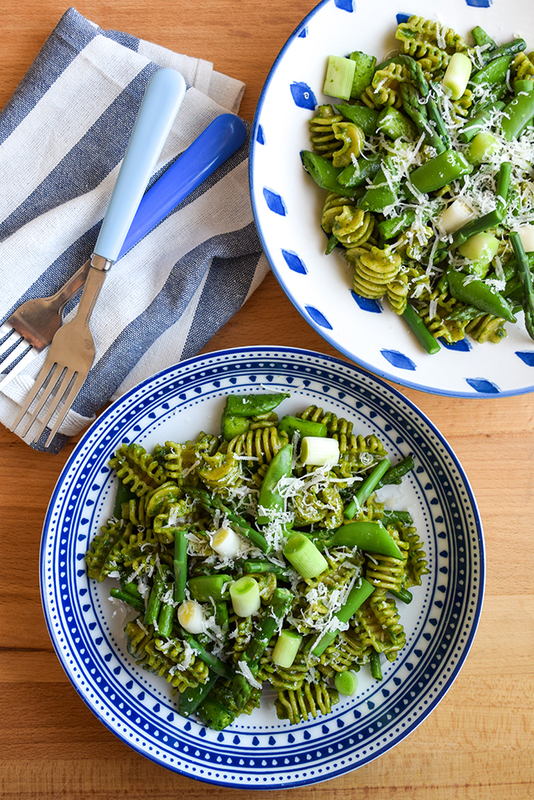 This easy pasta dish is just as tasty cold, and it is a great way to enjoy the best of the new season of green veg, including baby leeks, and the very best of the British asparagus that is about to appear! 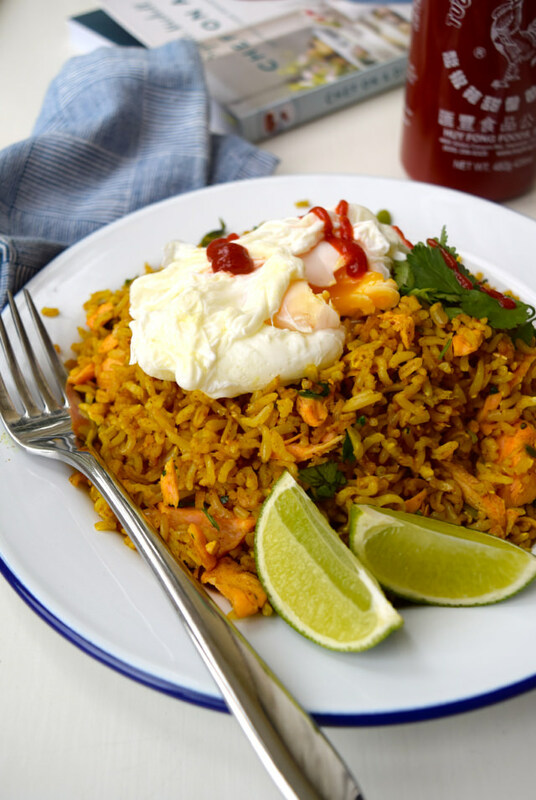 I know kedgeree is traditionally a brunch dish, but I love it for an easy supper, and it is great cold the next day as a gently spiced rice salad. I’m not big on smoked fish or a big hit of cloying curry powder, so this is a gentler, milder version with the aroma of coconut oil and a fillet of poached salmon flaked through. 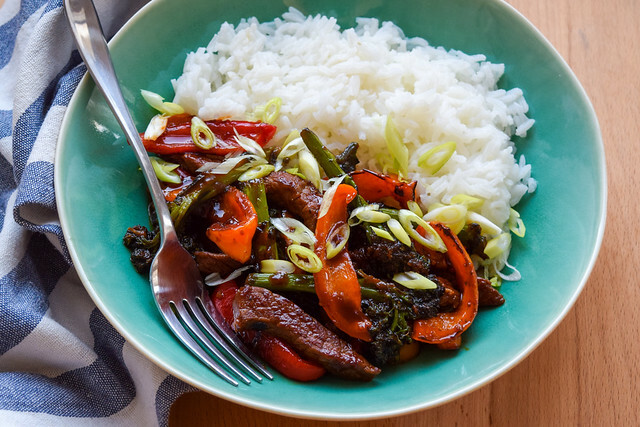 This everyday, Korean-orientated stir fry is a solid weeknight staple in our house, and I often make extra stir fry and jasmine rice to pack away in re-purposed plastic boxes our Indian takeaways usually come in (I am absolutely loathe to throw away anything potentially useful!) to give to J to heat up at work during the week. I love making big vats of my Easy Summertime Courgette Soup whenever things start to get slightly warm. 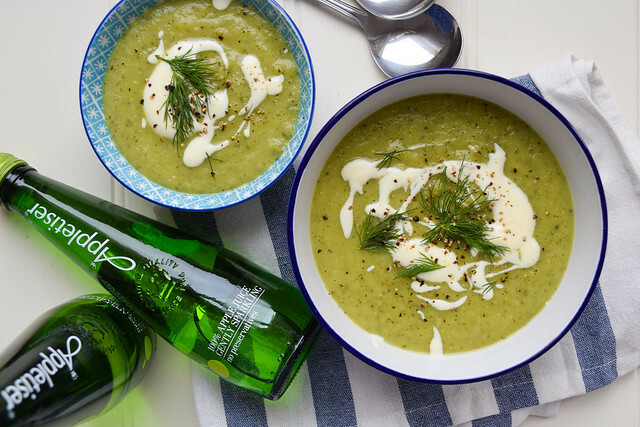 What is great about this soup is that it is also great cold, perfect if your desk is miles from the office microwave, or you want to take your lunch outside into the sunshine when a nice bowl of soup is still a little bit of what you fancy. 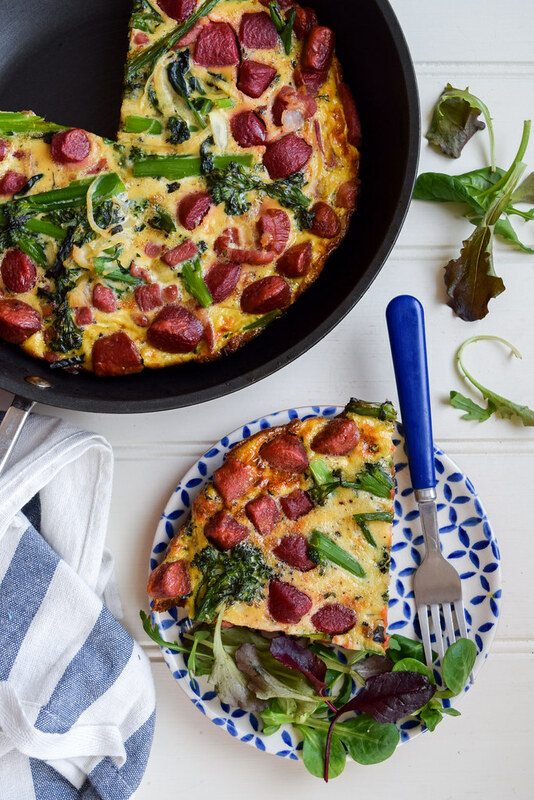 I love a good frittata for dinner as the leftovers a great both packed up for lunch, but for breakfasts too, which is why I’d make this on a Friday so you have instant meals ready in the fridge by way of leftover frittata wedges wrapped in foil whenever you want them! Using beetroot gnocchi here instead of potatoes is the magic tip here; the gnocchi goes soft and pillowy when baked, but still holds up really well cold. A few (spring-green inspired) recipes to try over the weekend: Bacon & Guacamole Breakfast Sandwiches, How To Make Any Delicious Green Smoothie, Green Eggs & Ham, Chocolate Cake with Lazy Piped Matcha Frosting, Strawberry Buttercream & Pistachio Mini Cakes, Grapefruit, Basil and Peppercorn Gin & Tonics, Light Tzatziki & Homemade Pitta Breads, Wine Glass Moscow Mules, Refreshing Summertime Cucumber & Mint Lemonade, Mint Aero Ice Cream.